Poem 2: Wake Up, Bastion! Tags: Arms, at, Bastion, Bastion Crider, Crider, Grace, Grace at Arms, Grace@Arms, GraceAtArms, inspiration, Inspirational, Inspirational Poem, Inspirational Poetry, motivation, motivational, motivational poem, motivational poetry, Poem, Poems, Poetry, rhyme, rhymes, rhyming, Sebastion, Sebastion Crider, songs, Up, Wake, Wake Up, Wake up Bastion! I’m back with another poem! This one even comes with a poetic addendum! Wake up, Bastion. Get the hell out of bed. and holes in your heart that you’ve gotta make right. Only your eyes are watching you now. or bright enough to think you can slack. Stop slowing and breaking and wandering ’round. You know where you’re going, so go there. Then Hannah, get on it. Stop wasting your time. Stop reading this crap. Don’t wait for the rhyme. Go do what you meant to be doing right now. Go be what you’d be if all the walls were torn down. You need motivation? So do we all. Now go grab the world. Grab it right by the balls. Wrestle it down. Make it say that it’s yours. Draw out everything that you hoped was in store. make it fuel, make it fire, make it reason to fight. but don’t stop there at all. Make it real. Take it home. ’til you feel it all the time, ’til you carry it ‘round. Make it breathe when you choke, make it stand when you fall. Make it grow ’til it’s you. Then go conquer them all! Feel free to comment (especially if you comment in verse)! To read/watch me perform “A Love Poem For Ghosts,” click here! For more poems, check out the “Poems” category of my old blog here! 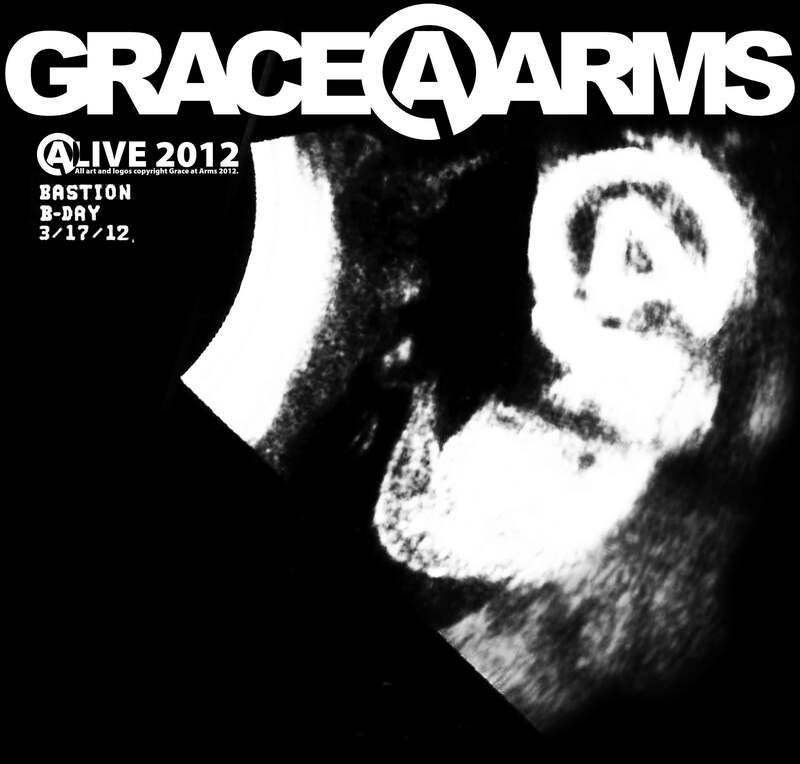 If you like my rhymes, then be sure to check out GRACE@ARMS’ iTunes and YouTube for music and videos (and our Facebook page for updates)!